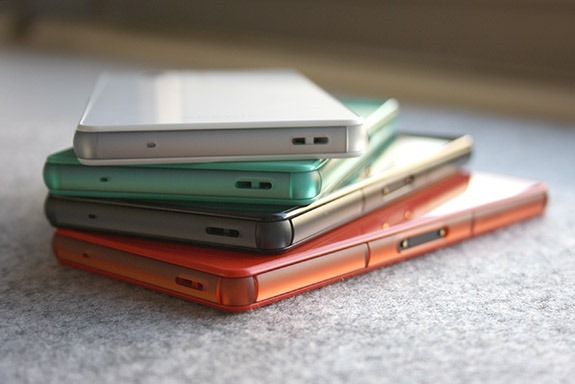 It's been less than six months since Sony announced the top-of-the-line Xperia Z2 back at Mobile World Congress, but it looks like the company may be ready to release yet another iteration at IFA in Berlin. A Facebook fan page (reported by the reliable XperiaBlog) posted photos of what looks a lot like the next Xperia superphone, the Z3. A sticker on the device includes specifications, though there's no way to confirm them. Don't get too excited; it looks like a pretty tepid update. 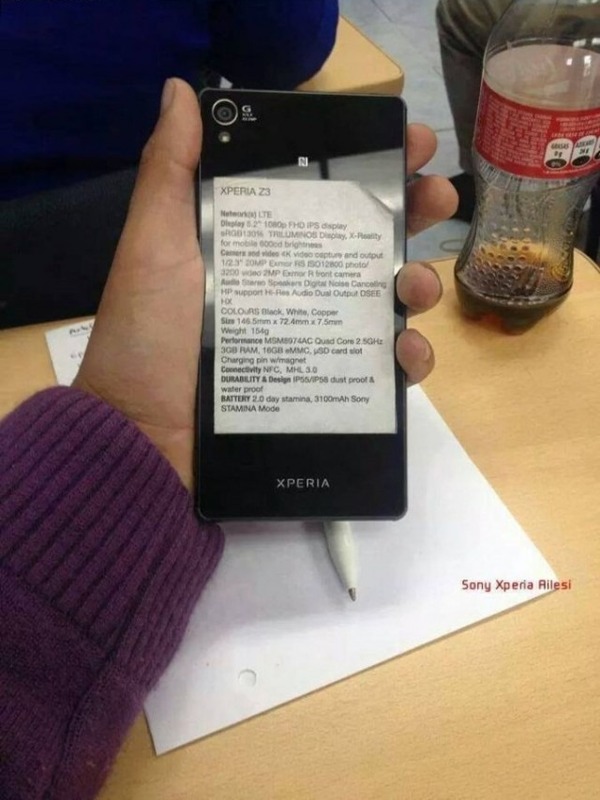 According to the leak, the Xperia Z3 uses a Snapdragon 801 processor, 3GB of RAM, 16GB of storage space plus a MicroSD card, a 5.2" 1080p screen, Sony's 20-megapixel Exmor camera sensor, and a 3100mAh battery. Dedicated Sony fans will probably realize that these specs are almost identical to the Z2. So what's changed? Well, this model improves on the already-slim Z2 with an impressive 7.5mm frame (.7mm thinner). Despite a slightly smaller battery that helps slim the phone and trim it down to 154 grams, Sony apparently thinks its new STAMINA mode will make the battery last for two days. XperiaBlog also points out that the Z3 specs include the Digital Sound Enhancement engine for high-definition audio. 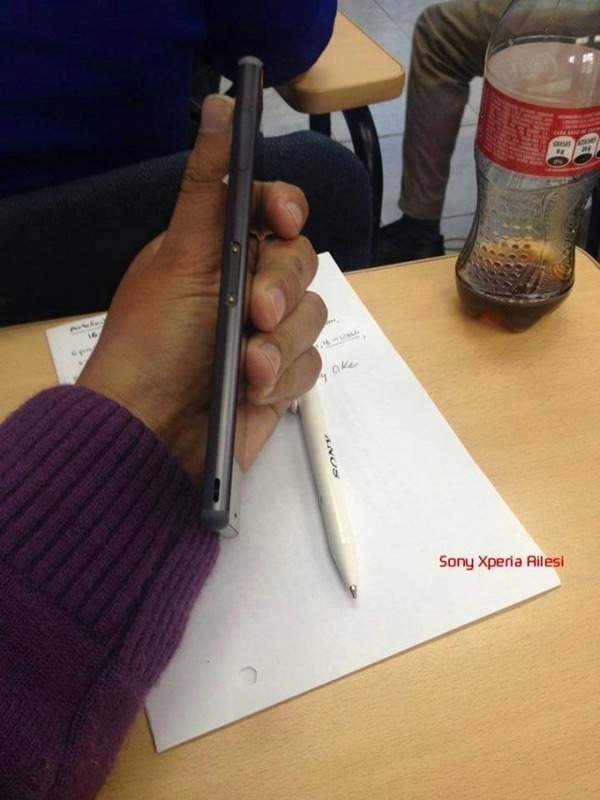 What's even more exciting, at least for some users, is the just-leaked Xperia Z3 Compact. It looks like Sony will continue to buck the trend of equating smaller phones with lower specs: according to rumored specs from Ausdroid, the smaller phone will use the same Snapdragon 801 processor and 20MP camera sensor, with only the screen (4.6" 720p) and battery (2600mAh) scaled back for the form factor. Two photos, claimed to be official press images, were also posted. Colors include the standard black and white, along with red, mint green, a sort of brownish copper, and orange. While quite popular in Asia and Europe, Sony's phones don't usually get much play in the US, but T-Mobile and lately Verizon are showing a little more interest. 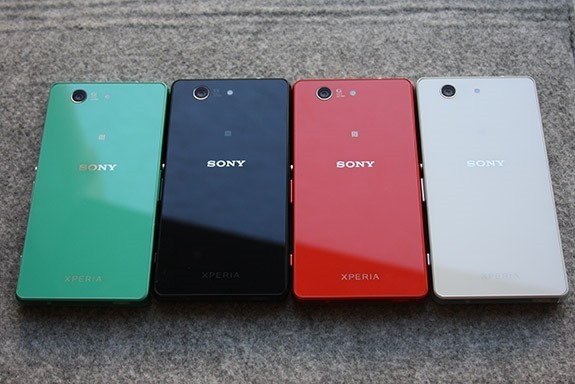 There's also a rumor that Sprint is looking to carry some Sony hardware as well. 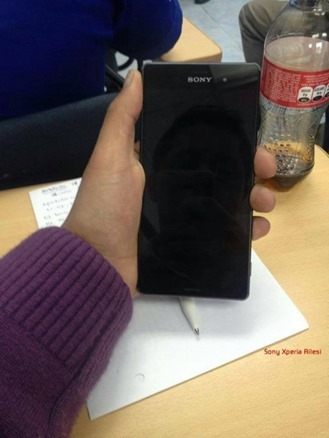 He's hoping that we get the chance to see more Sony phones on this side of the water soon.